sector workers with monthly income up to Rs 15,000. This pension yojana shall provide them with an assured monthly pension of Rs 3,000 from the age of 60 years on a monthly contribution of a small affordable amount during their working age." He further explained, "An unorganised sector worker joining pension yojana at the age of 29 years will have to contribute only Rs 100 per month till the age of 60 years. A worker joining the pension yojana at 18 years, will have to contribute as little as Rs 55 per month only." The Government will deposit equal matching share in the pension account of the worker every month. It is expected that at least 10 crore labourers and workers in the unorganised sector will avail the benefit of 'Pradhan Mantri Shram-Yogi Maandhan' within the next five years. There are around 42 crore workers in the unorganised sector working as street vendors, rickshaw pullers, construction workers, rag pickers, agricultural workers, beedi workers, handloom, leather and in numerous other similar occupations. The scheme is expected to benefit them. According to an SBI research report, the financials of the scheme are similar to EPFO’s Employees’ Pension Scheme (EPS). It is, however, unclear as to how the scheme will be administered. 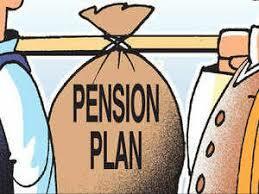 "The pension scheme is a DB-DC kind of arrangement similar to the EPFO’s Employees’ Pension Scheme. It is unclear how the Scheme will be administered," the report says. The SBI report says the most commonly used arrangement is to create a separate trust where the premiums are accumulated. Since the scheme is a deferred annuity, the pension liability is due after 31 years for a participant age 29 joining today. Thus depending upon the coverage, the cost to the exchequer is Rs 1200 per person per year for the first 31 years." "However, since the Scheme creates a deferred pension liability, a calculation could be made on an inter-temporal basis using the actuarial principles. Assuming that the entire population of 10 crores is covered in the Scheme, then at median population age of 29 years, the total cost to the Exchequer on an inter-temporal basis will be substantial."